What’s wrong with this picture? Some would say the above creche can’t be on Government property because it is a religious symbol. We could win a court argument about that, as the baby Jesus has been replaced by a dog. Others might argue that dogs have become some peoples’ gods, and there are statistics that support their position. The American Veterinary Medicine Association claims that in 2013, Americans spent $53.33 billion on pets, food, and pet accessories, while statista.com claims that during 2013, Americans spent only $23 billion on human babies, food, and accessories. 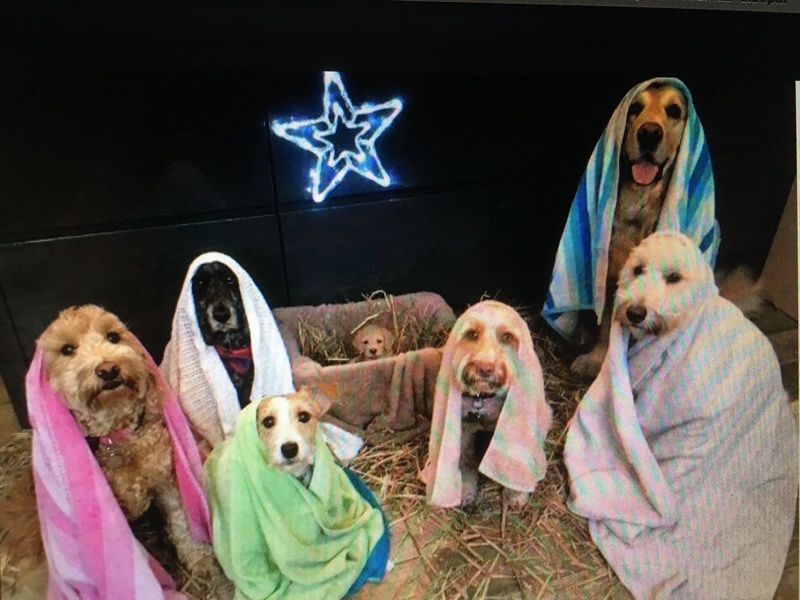 As we prepared to write a Christmas greeting, we discovered this photo on FaceBook and were shocked that someone would replace the baby Jesus with a dog. 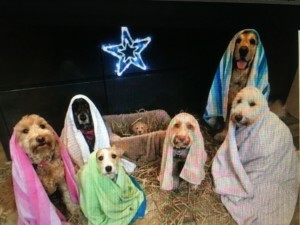 The dog in the creche reminds us of the admonition in Romans 1:25, “They exchanged the truth of God for a lie, and worshiped and served created things rather than the creator…” We realize many pet owners might argue their dogs give them love and comfort and some even get their dogs certified as therapy dogs to calm the owners’ anxiety, enabling them to take the dog aboard airplanes and into stores, churches, and restaurants. We agree with the popular saying, ‘Let’s put Christ back into Christmas’ (and back in the manger) and we celebrate because of what Jesus did for us. He declares in John 3:16-17, what a precious gift He is for those who reach out and accept Him: “For God so loved the world, that He gave His one and only Son, that whoever believes in Him, shall not perish, but have everlasting life. For God did not send His Son into the world to condemn the world, but to save the world through Him (Jesus)”. May the peace of Jesus fill your hearts and may He bring you much hope and joy during this Holy season. Amen. The Word is very clear about adding or taking away from it….at least 3 times in the Scriptures! A Very Merry & Holy Christmas and New Year of 2018!!! Thank You!